MPs expect "answers in substance" from both candidates. The head of the Petro Poroshenko Bloc faction in parliament, Artur Herasymov, has said that Poroshenko is waiting for election frontrunner, comedian Volodymyr Zelenskyy to debate with him on both 14 and 19 April. "On behalf of our faction, I would say that we hope to receive very shortly the answers to all key questions, in which the Ukrainian society is interested, during a debate between the presidential candidates. By the way, Poroshenko is waiting for Zelenskyy for a debate in substance, let me stress this – in substance, on both 14 and 19 April. [If you want] a stadium [as a debate venue], let it be a stadium," he said. 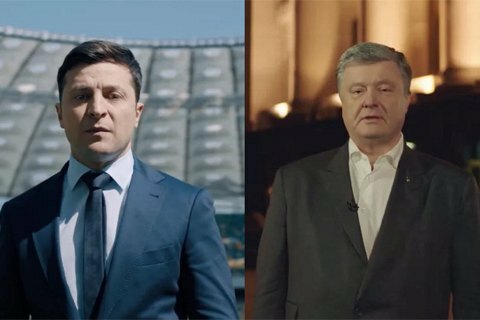 Earlier today, Zelenskyy said that he was going to meet Poroshenko for an open election debate at the Olympic Stadium on 19 April. Earlier, Poroshenko invited Zelenskyy to a debate on 14 April. The Central Electoral Commission has scheduled an official debate between the two candidates on UA:First TV on 19 April.